The backpackers don’t need to plan before any trip. They just need a day to start an unplanned journey. It was the month of February when our college was about to start. 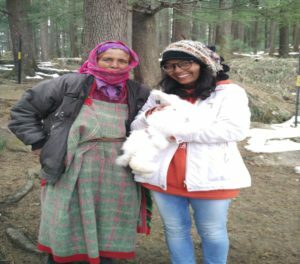 On the night an idea came to my mind to visit Manali before the semester begins. Suddenly I asked my friend and next day we had just left for it. The mesmerizing beauty of mountains, and the graceful rivers amazed us when we reached at the top of hills. 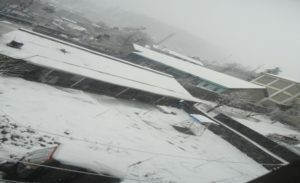 Finally, after the long travel we had reached on the snow sheet in the lap of Himalaya. A place where the cold weather makes us shiver. The best moment was as soon as we reach there, the snowfall began and we had to buy snow boots, umbrella on rent to reach guest house. After taking enough rest we had our breakfast in the nearby restaurant. We reached there at 11.00 am and were tired too so just decided to visit the local areas. 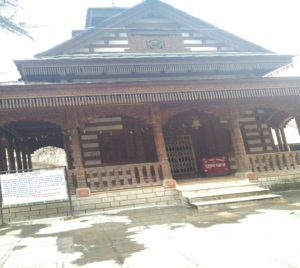 There are many places like Hidimba Devi temple, Manu temple, Manali club House, local market, Tibetan Monastery, Museum of Himachal Culture, Siyali Mahadev Temple, Tibetan Market. The list is long and it’s not possible to cover all places within one day so we just visited few places that day. 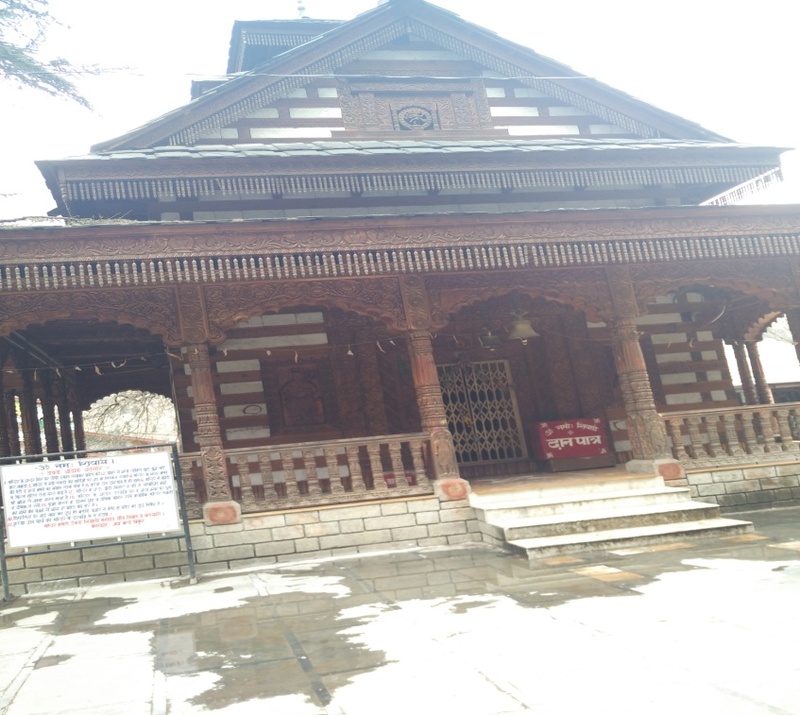 We began our journey from Hidimba Devi temple which is situated in between the cedar forest having carved wooden doors. This temple shows the epic history of Mahabharata. I just loved the interior and exterior of the temple. I Saw ladies there, carrying very cute rabbits and asking us to click pictures with them just for Rs 20/. The pious beauty of nature where you can roam, and if you feel hungry after that, So many shops are around there where you can eat snacks. 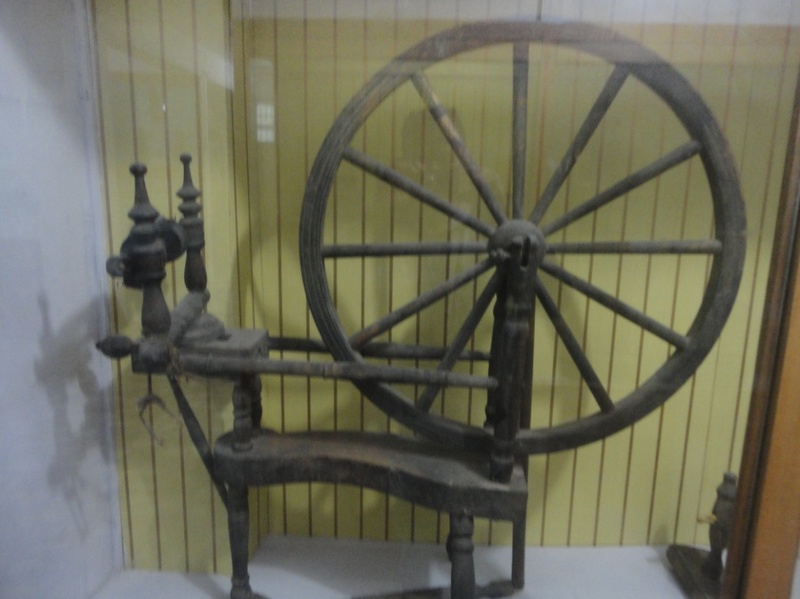 Just in few meters, there is Museum of Himachal Culture and Folk art situated in Utopia Complex. 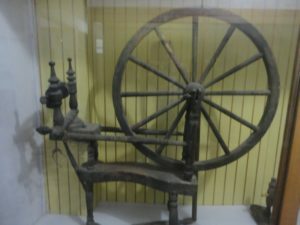 Here are so many old things like model of temples, Himachal traditional dresses, musical instrument, utensils, wood carvings etc which helps us in exploring more about history of Himachal Pradesh. On the same way we move forward to Siyali Mahadev Temple. 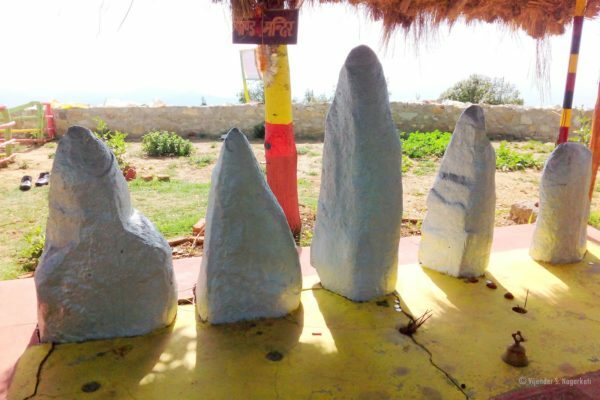 It is dedicated to Lord Shiva. I must say that artist was great who created this temple. It was breathtaking. That artwork which he has done with wood was awesome. I suggest to all that you must visit this place. The day was passing by and we had covered three places on the very first day and were getting hungry too. Near our guest house there was a small Dhaba where they used to cook very delicious food. Dreaming of second day we went to sleep. 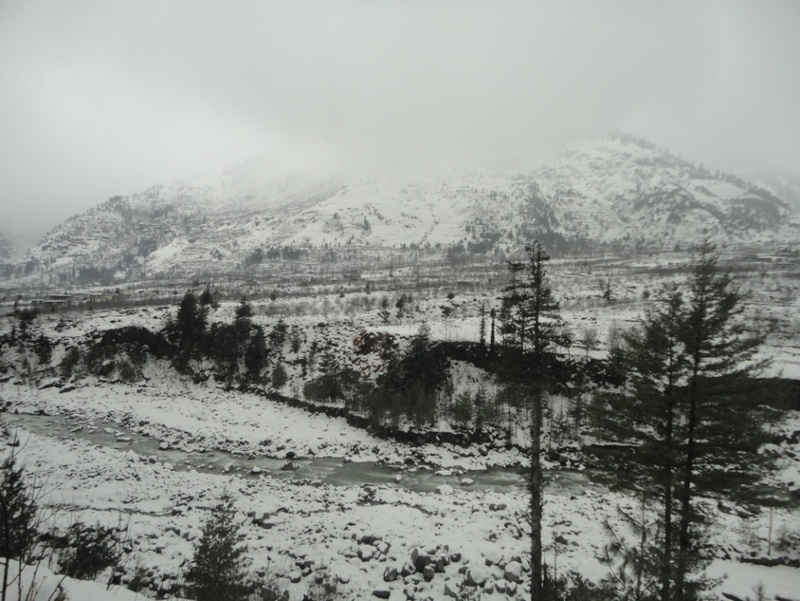 It is 13 km from Manali mall road also known for adventurous spot. We decided to drive on the hilly road and took a two vehicle on rent for Rs 500 from 10.00 am to 6:00 pm. “Ahh the real fun begins now”. That snowy road, traffic due to snowfall and we were just trying to overtake large vehicle to reach soon and enjoy more. After reaching there I just said Wow Its awesome “ Mja agya yar”. Mountains were covered with snow. 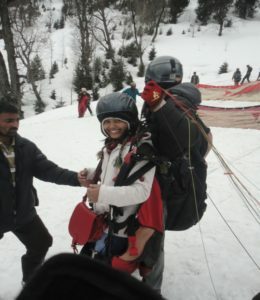 People were enjoying many adventurous sports like skiing, riding, paragliding, zorbing. There is also a institute for skiing that is Atal Bihari Vajpayi Institute of Mountaineering and Allied sports. This place attracts the tourist most. Snow lovers can visit this place between December to February. I was very eager to do skiing and paragliding. There are two types of ticket cost Rs 1000/3 min and 2000/5minute for paragliding. I did it for 3 minutes and that experience was priceless. Then I did Skiing also for 1 hours and the cost is 300/hr. You have to bargain there because they will ask you to pay more. So better do a small research before any trip. That enjoyment was unforgettable. 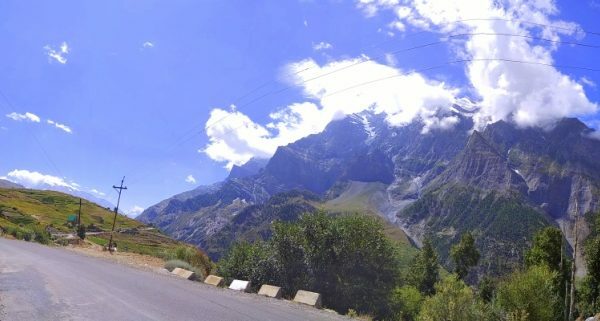 We visit Manali in the month of February so were not able to visit Rohtang pass because it opens in the month of May till November, so just visited other areas of Manali. 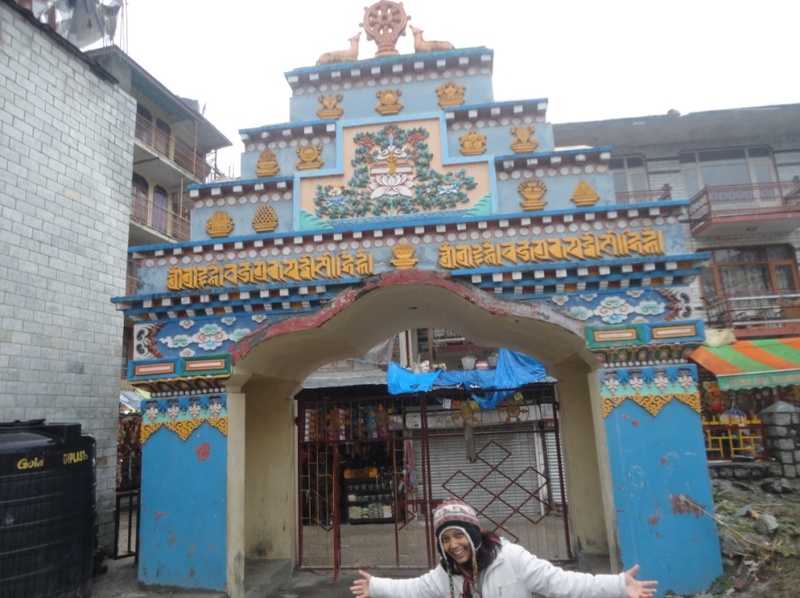 On That day, we visit Tibetan Monastery and local market. 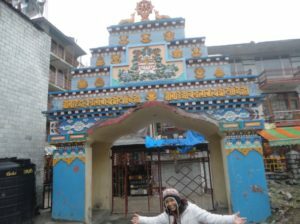 Tibetan Monastery is located near mall road. There is statue of Buddha and this place will give peace and relaxation to your mind. Outside there is little market where you can get Tibetan culture items. And then it’s time for some shopping. A market is a place where most of the people want to go. I bought a beautiful cap, bag, and so many items from there at a very less price. Mostly people used to say you will get very expensive items in tourist area but I must say it doesn’t happen at every place. You have to choose best In a proper way. 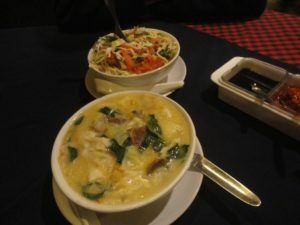 After wandering many place we were getting starved while I am a food lover and believe in trying new dishes every time. There is a restaurant famous for Tibetian dishes named Chopstick restaurant. We tried genthuk and gyathuk. And it was very delicious. Actually, It was a type of Soup having lots of vegetables, eggs, meat, chicken, mushroom, spinach and many more. ‘Don’t listen to me just give it a try once’. And in that way, we had completed our beautiful journey which is really awesome and unforgettable. I hope the above details will definitely help you.